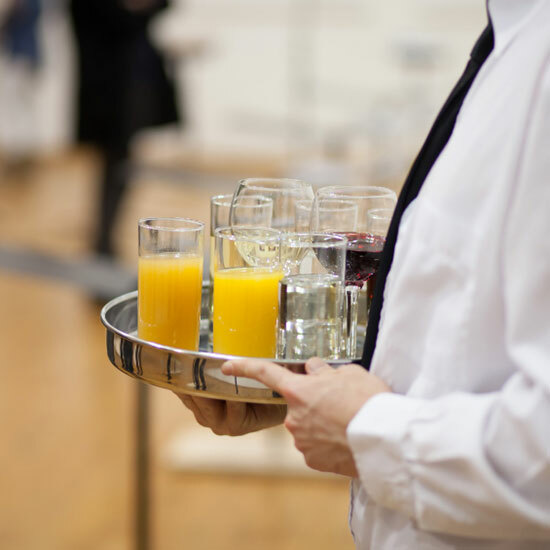 Lifestyle expert and The Chew co-host Clinton Kelly (a former cater waiter) believes pouring glasses and busing empties are tasks anyone having a big party should farm out. Here are his tips for hiring and working with servers. Discreetly ask your favorite local waiter or bartender if they do freelance work on the side. If you want servers to constantly top off glasses, say that. I think it’s nice when servers make small talk with guests, but if you would prefer they don’t carry on conversations, be clear. Accept a certain level of risk. Servers’ hands slip. If someone spills, your job as host is to say, “Don’t worry—I hated that rug anyway.” (This goes for guests as well as staff.) If your house is so precious that it will destroy you as a human being if someone spills red wine or breaks something, you shouldn’t entertain. On two separate occasions, years apart, a guest started making out with my bartender. It always happens at the end of the night, and at that point, if the other guests are gone, who cares?